High Roller is one of those bulls that when you see him you’d never guess that he is a proven heifer bull. He was used as a heifer bull both here and at Wilkinson Farms Simmentals until he was too big to safely service heifers. His calves come very easy and grow very well. His daughters are making awesome young cows. Udder structure and teat size is excellent. Some of our top bull calves have been out of High Roller daughters. We believe that High Roller will be looked back on years from now as a maternal cornerstone. 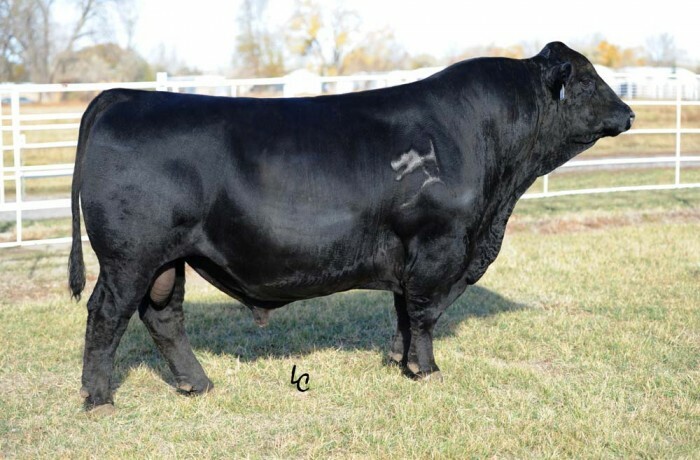 He has been leased to Genex as a proven calving ease sire that will replace Shear Force in their purebred lineup.